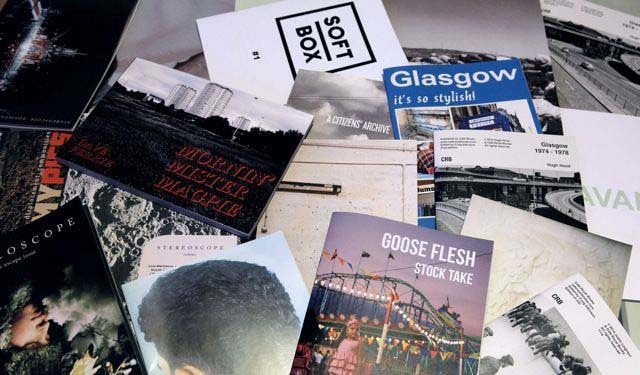 Street Level are holding a Photobook & Zine Mini-Fair in the Trongate 103 foyer to mark the last weekend of the Goose Flesh: Stock Take show. Featuring publications from Beyond Words, Fistful of Books and Café Royal Books, as well as a selection of titles from Scottish and Scotland-based artists curated by Street Level, the event celebrates the value of the photobook form, and provides a fantastic opportunity to browse photo publications of all shapes and sizes. Beyond Words is a specialist retailer of photographic books. After 12 years trading as a shop on Edinburgh’s Cockburn Street, Beyond Words now operates as a mail order/online business, scouring the planet looking for the finest photographic titles from a wide range of publishers. Many of their most popular books come from Nazraeli Press, Steidl, Hatje Cantz and from small publishers across the globe, especially Japan. They have a reputation as a source for limited editions and signed copies. They also sell a range of the best photographic remainder titles at about a third of their published price. Fistful of Books was founded by Simon Robinson in 2012. It was initially set up as an exciting and accessible way of presenting his own photography. Since then he has started to publish the work of other photographers whose work falls in to the urban/street and documentary genres. Fistful of Books is an independent publisher based in south west Scotland.